SACRAMENTO, Calif. -- In celebration of the region&apos;s rich bounty of locally grown culinary delights, it&apos;s time for the 9th Annual Raley&apos;s Grape Escape on Saturday, June 4, from 4:00 to 7:00 p.m. at Cesar Chavez Park in downtown Sacramento. Produced by the Sacramento Convention & Visitors Bureau, this all-inclusive festival showcases an amazing variety of regional boutique wineries, talented local chefs, a sizzling and spirited Chef&apos;s Challenge cooking competition, entertaining live music and imaginative art displays from local artists. 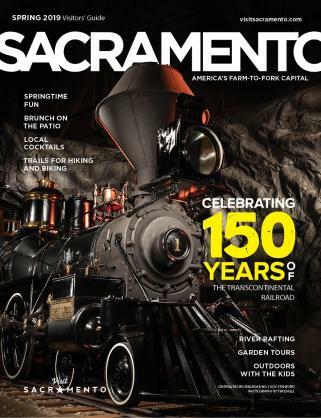 "Without question, this is an exciting time for local chefs and wine producers who are at the forefront of an emerging and energized culinary scene in the Sacramento region," said Mike Testa, Sr. V.P. at the Sacramento Convention & Visitors Bureau. "We are proud to connect local residents with some of the very best restaurants and wineries from the local region so they can sample new flavors, enjoy new experiences and appreciate all the region has to offer." Raley&apos;s Grape Escape participants will enjoy an abundance of delicious food tastings from local restaurants such as Cafeteria 15L, Crush 29, Grange Restaurant & Bar, Mulvaney&apos;s Building & Loan, Lucca Restaurant & Bar, Mikuni, Ten 22 and many more. In addition, wine tastings will be provided by local wineries from eight surrounding counties such as Amador, Calaveras, El Dorado, Nevada, Placer, Sacramento, San Joaquin and Yolo. Barefoot Wine & Bubbly, Bogle Family Winery, Clos Du Lac, French Hill, Ironstone and Twisted Oak are just a few of the wineries scheduled to participate in the upcoming Raley&apos;s Grape Escape. In addition to the great food and wine offerings, the lively outdoor urban setting will include live music, an entertaining chef&apos;s cooking competition and an array of art displays that range in style from expressionist to still-life and landscape paintings. The crowd-favorite Chef&apos;s Challenge cooking competition will run throughout the event with Tuli Bistro&apos;s Chef Adam Pechel cooking to defend his winning title from last year against local chefs from popular eateries such as The Press Bistro and Fat&apos;s Family Restaurants. Designed to celebrate the culinary bounty of the region, this all-inclusive food and wine festival is for adults 21 years of age and older. Tickets for the Raley&apos;s Grape Escape are on sale now and cost $40 in advance or $50 at the door. For those who purchase tickets at any Sacramento region Raley&apos;s or Bel Air store, they will enjoy a $5 off savings off the ticket price. For a complete list of participating restaurants and wineries, visit www.raleysgrapeescape.com For more event information, please call 916-808-7777 or 800-292-2334. 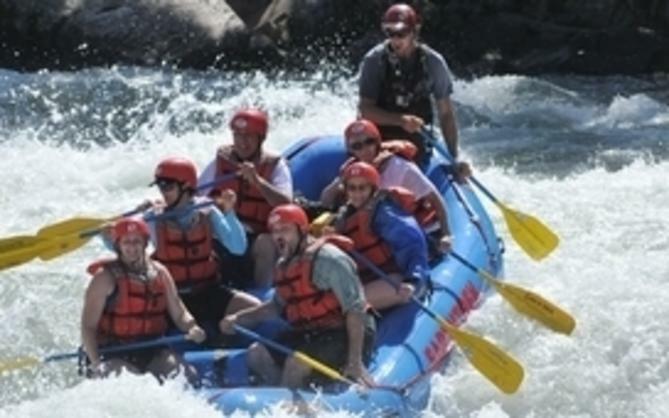 Spend the weekend in Sacramento and visit the newly expanded Crocker Art Museum, take an Old Sacramento Underground Tour or a Hornblower brunch or dinner cruise. 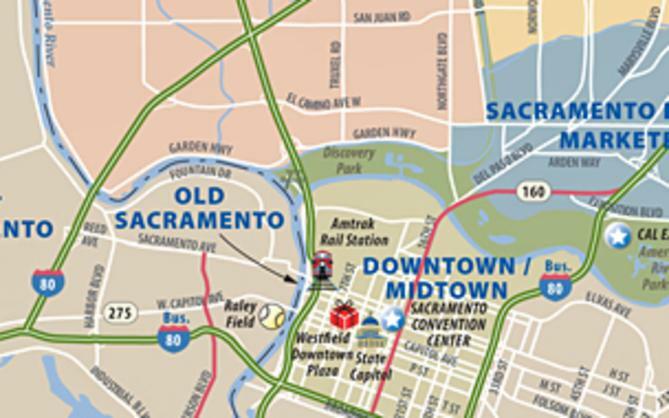 The Sacramento Gold Card sweetens your stay with savings at attractions, restaurants and retail establishments. Visit www.discovergold.org.